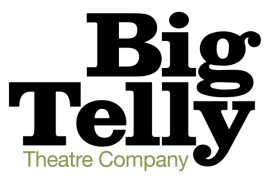 Big Telly was formed in 1987 and is based in Portstewart, Northern Ireland. The company’s range and scale of work is unparalleled, with its reputation for innovation built upon distinctive professional theatre productions which tour nationally and internationally; creative collaborations; and pioneering community-based participation projects. We concentrate on the visual potential of theatre through fusion with other art forms such as dance, music, circus, magic and film to create a unique sense of spectacle.